DENMARK: The Danish Technical University (DTU) and developer Vattenfall have announced a joint project to investigate the shadow effect offshore wind projects have on other nearby sites. The 'OffshoreWake' project will take two years to complete. It will aid planning of future offshore sites, to avoid affecting production of down-wind projects and the effect that has on the country's energy system. "The OffshoreWake project should make us better predict how much two parks affect each other," said Ylva Odemark, research director for wind power at Vattenfall. "This will reduce uncertainty and make it easier to make investment decisions," she added. Wake effects on turbines in the same project are established, but less is known is the harm on production projects may have from nearby neighbouring projects. "If you do not think strategically about the location of the major wind farms in the future, then they could cause a reduction in electricity production from other wind farms located nearby," said DTI Wind Energy project manager Xiaoli Guo Larsén. "Today, calculation methods are used that take into account the shadow effect inside a wind farm. But DTU Wind Energy and Vattenfall will expand the calculation method with two additional components. 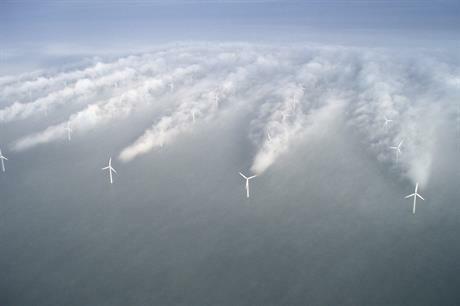 "The two new components are the shadow effect from nearby wind farms and ocean surface parameters such as waves. Both are important to include in the calculations if we are to get the most out of new wind farms in the future," Larsén added. Vattenfall currently operates the 160MW Horns Rev 1 project in Denmark. It is also constructing the 406MW Horns Rev 3 project, and developing 350MW Vesterhav nearshore sites. "The power-curve warranties OEMs give are worthless"